We live in a convenience society where we need everything quickly and easily. We have an extremely limited amount of time with our customers or prospective customers and need to get maximum value for that time. 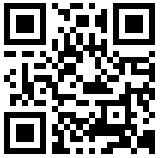 Using a QR code, we can push structured data or a link to our target audience quickly and easily. QR codes allow for some innovative ideas within the walls of corporate america, in manufacturing, supply chain and retail to name a few. Although QR codes have been around for a long time, we’re seeing greater adoption in 2011 and are incorporating QR codes into our work and the work that we do for our clients. The quick response (QR) code is not new. It is a type of matrix (or 2 dimensional) code that was originally designed for the auto industry in 1994 by Denso Wave (a subsidiary of Toyota). The original idea was to create a code that could hold more data than a typical 1 dimensional bar code and that could also be read quickly by a hardware scanner. But the QR code’s ability to contain up to 30% in error correction is part of its magic. This means that a QR code could be scratched/damaged or partially unreadable and it may still be able to be scanned and may still contain all necessary data stored in the code. (more on this later). The QR code can contain any type of data including binary and alpha. From a popularity perspective, QR codes are used much more outside the US, but interest and usage in the US is rising. 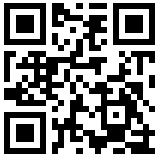 As of this writing, the QR code is in much more widespread use in Japan, South Korea and the UK. But if you look around in any major US city, you will see QR codes on trucks, billboards and other outside advertisements, store shelves, in window displays, on business cards and even on tshirts and tattoos. How does it work? QR codes are read by a scanner, which could be a dedicated piece of equipment in manufacturing. But the most visible growth in QR codes in the US is in terms of public facing QR codes aimed at everyday people like you and me that have a smart phone with a camera. Most camera-equipped smart phones ship from the manufacturer with QR code scanning software or a QR code scanner can be easily be downloaded and installed (typically for free). QR code scanners use the smart phone’s camera to capture the QR code image and use software to decode the data from the bar code. 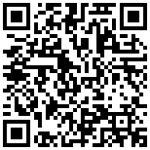 The scanning and decoding of a QR code is very quick and typically takes no more than 1 seconds. Links Allowing you to link to a URL. Normally a smart phone will navigate to the URL in the browser on the phone. In my experience, this is by far the most common use of QR codes. The QR code link could be the home page of your website, could be a detailed product page, could be a video you’ve uploaded to Youtube or a page where you are selling a product. Email Allowing you to provide a quick link to send an email. Normally a smart phone will open up the default mail program on the phone and begin an email. This could be used, for example, as a quick and easy way for someone to opt into a mailing list. Telephone Allow you to provide a telephone number for quick reference. Most smart phone will prompt for an Okay before attempt to dial the telephone number. 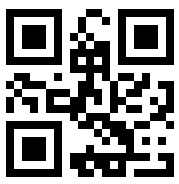 Text Your QR code can just contain a message of free form text. SMS Allow you to provide a quick link to a new SMS message that contains a given destination SMS recipient and message. vCard Last but not least, there is a pattern to allow you to share your contact information by embedding your information in the QR code itself. It is becoming increasingly common to see QR codes on business cards, email signatures and on conference badges. Once a vCard QR code is scanned, the information is presented in the default contact app on the smart phone with the option to save the contact information. According to research from Internet Retailing, of the people that scanned QR codes in June 2011, approximately 58% scanned the code from their home, 39% from a retails store, 25% from a retail store, 20% scanned from at work, 13% scanned while outside or on public transit and 8% while dining out. Innovative use of QR codes? We’ve increasingly seen QR codes used to lookup information in corporate america. For example, we’ve seen QR codes on the front of conference rooms to allow employees and visitors to quickly see room availability. In Home Depot’s garden section, many plants have a QR code where a shopper can quickly get more detailed information and photos of plants. Clients are using QR codes in all their external touch points (videos, blogs, printed pieces) to link them all together (e.g. 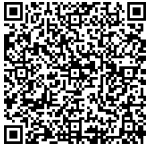 link to blog from video via QR code) to provide a richer experience. QR code on business cards is growing in popularity. Forget about smartphone apps that scan business cards or the bump app, using a QR code is much more convenient to transfer and allow contact information to be permanently saved. Creative use of QR codes? How to make your own? If you search you will find many free QR code generators. Check the generator’s usage policy as some don’t allow you to use them for commercial use. 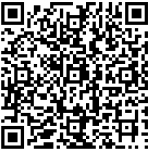 Check out http://qrcode.kaywa.com/ and http://snapmyinfo.com/vcard or Google’s free API for creating your own tool.